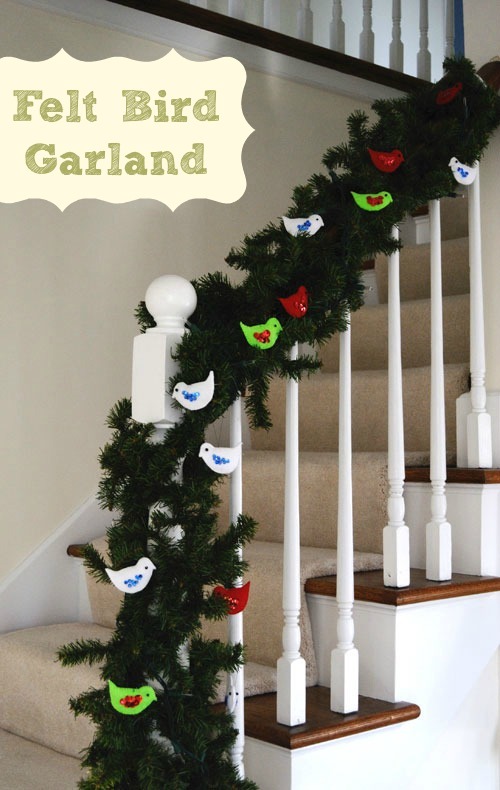 and they decorate a garland I have wrapped around my banister… for now that is. 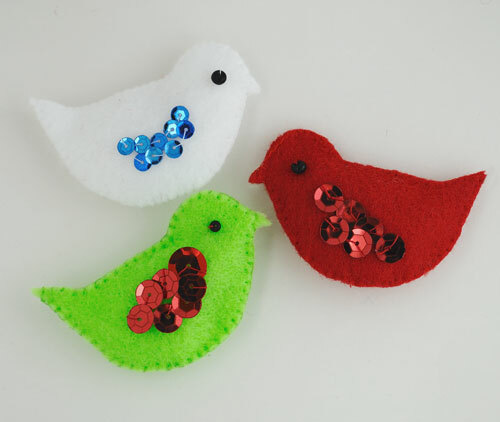 I will be sharing very soon another very creative use for these pretty felt Christmas ornaments. 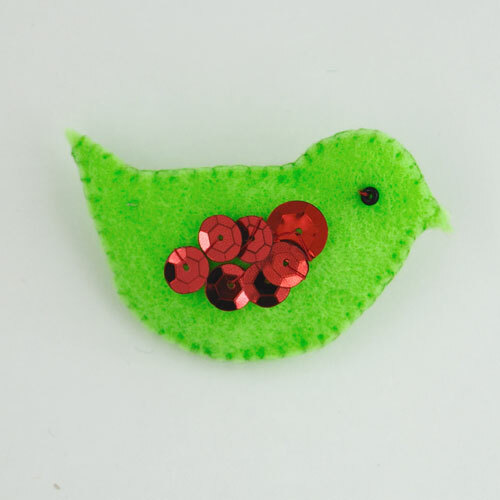 Sew about 5-8 (depending on size) sequins on bird to represent a wing. 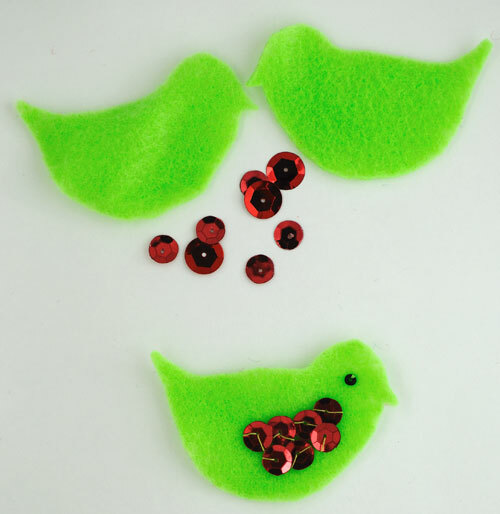 Place two bird shapes together and blanket stitch around stopping with an about inch to go. Top off with a simple thread for hanging. Any guesses for how I am planning on using these birds? This entry was posted in Celebrate in Style, Christmas, Craft Projects, FREE, Holiday Projects, Sewing. Bookmark the permalink. 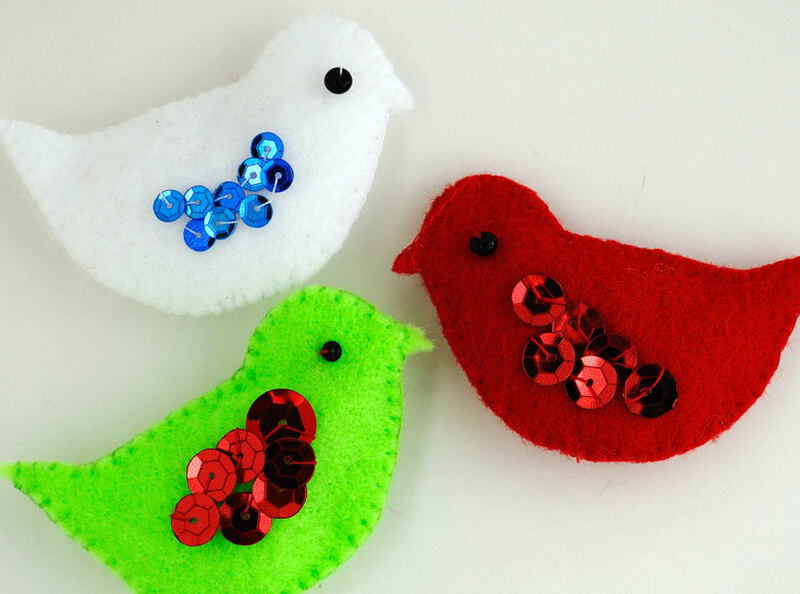 sweet, beatiful.i'm planning on making a lot of them for my bird theme Christmas tree.